The culture minister of the country presents the order to a person who has made significant contributions to the arts, literature, or the dissemination of these fields. 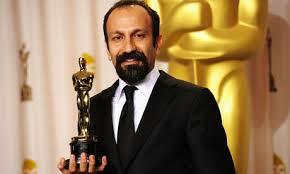 Farhadi made his latest film “The Past” in France. The French-language drama brought its star Bérénice Bejo the Palme d’Or for Best Actress at the Cannes Film Festival in 2013. He received the first EU MEDIA prize for “The Past” in 2012 when the film was in its preproduction stage. This entry was posted in Cinema & Showbiz and tagged Awards, Cinema. Bookmark the permalink.